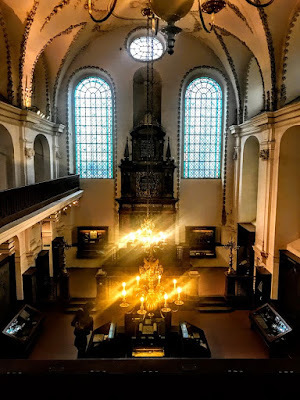 The Klausen Synagogue is a 16th-century baroque synagogue and the largest surviving synagogue in the former Jewish ghetto, and it is also a single example of an early Baroque synagogue in the area. This complex was known as Klausen, a German term derived from the Latin claustrum, meaning a closed space. Mordechai Maisel, a renowned businessman who had found favour in the Habsburg court and who was the great benefactor of the ghetto, acquired the site from its Christian owners in the late 16th century. He used part of the site to extend the Jewish Cemetery, and in 1570, he set about building a complex in the area of the present synagogue that included synagogues and a private Talmudic school. 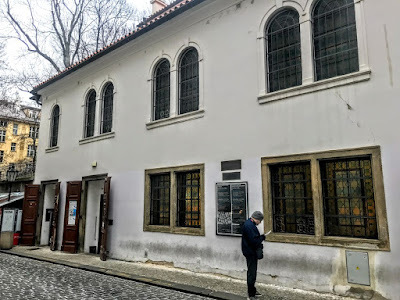 Prague’s famous rabbi and scholar, Judah Loew ben Bezalel, known affectionately to this day as Maharal taught at this school. 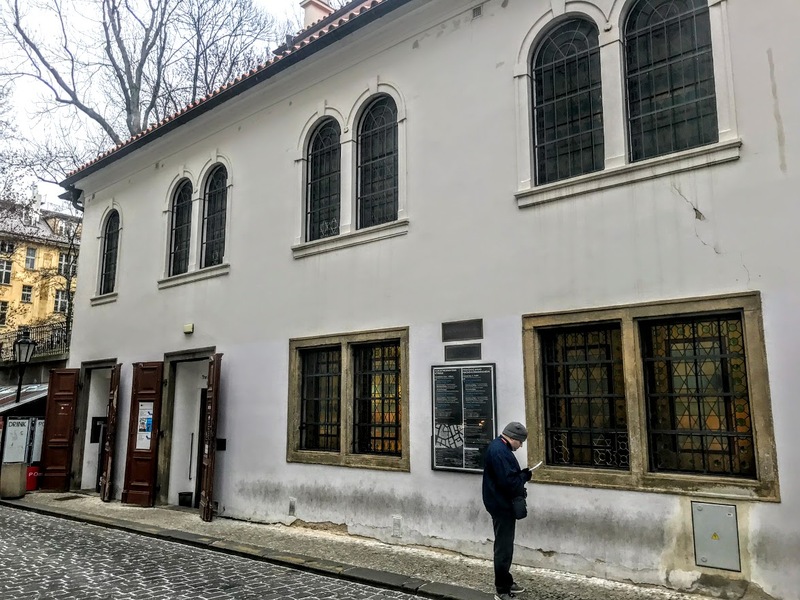 During the great fire that devastated the Prague ghetto in 1689, all the buildings in the Klausen were destroyed, and the new synagogue built on the site is named after them. Shelomo Khalish Cohen, a rabbi of the burned-down synagogue in the Klausen complex, initiated the building of a new synagogue in early baroque style at the site. The building was finished in 1694, and two years later the monumental three-tiered aron ha-kodesh or holy ark for the Torah scrolls was added, thanks to the generosity of Samuel Oppenheimer, then an affluent and influential person in the Hapsburg Empire. It is in the style of an early baroque altar. The two-storey extensions at the north and west sides of the synagogue were built at the same time or a little later and are a little lower than the main building. Many important rabbis are associated with the synagogue, including Elazar Fleckeles (1754-1826), a prolific author. The synagogue was rebuilt in 1883-1884 by the architects Bedřich Münzberger and Antonín Baum, who were also involved in decorating the Spanish Synagogue. During this work, the western women’s gallery was elevated to the level of the main building. The massive urban renewal of the ghetto at the turn of the 20th century left the Klausen Synagogue intact, while other baroque synagogues, including the Zigeuner, Great Court and New Synagogue, were demolished. Today, the Klausen Synagogue is the only surviving example of a baroque synagogue in the former ghetto. During World War II, the Nazis used the Klausen Synagogue for storage. After the war, an exhibition on the theme of Jewish festivals and customs opened there. The synagogue was rebuilt in 1960 and 1979-1981, and the aron ha-kodesh was restored in 1983. 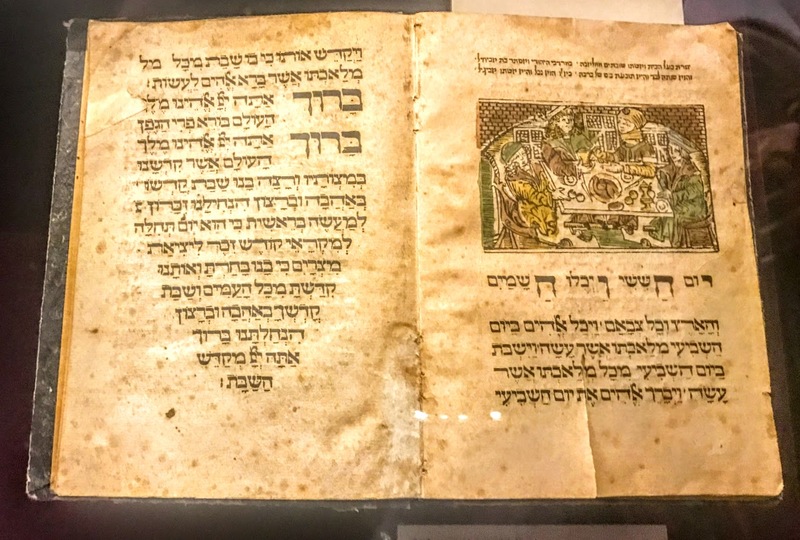 A year later, a new exhibition of Hebrew manuscripts and early prints opened in the Klausen Synagogue. The synagogue was restored again in 1995-1996 and the exhibition on Jewish festivals and customs reopened. 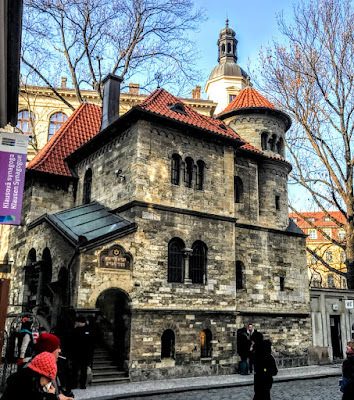 Today the synagogue is administered by the Jewish Museum in Prague. 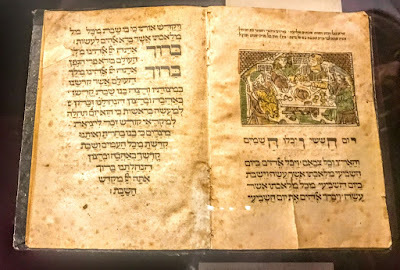 The exhibition introduces visitors to the foundational texts of Judaism, the Torah and the Talmud, sacred space in Judaism, the traditional components of the synagogue interior, the order of synagogue prayer services and texts and objects used in worship in synagogues. Other displays introduce Jewish Festivals and daily Jewish family life, as well as important milestones in Jewish life, including birth, circumcision, and marriage. The theme of this exhibition continues in the neighbouring Ceremonial Hall which looks at the topic of the end of life. The Jewish Ceremonial Hall was built in the neo-Romanesque style in 1906-1908, designed by the architect J Gerstl for the Jewish Burial Society, Hevrah Kaddishah. 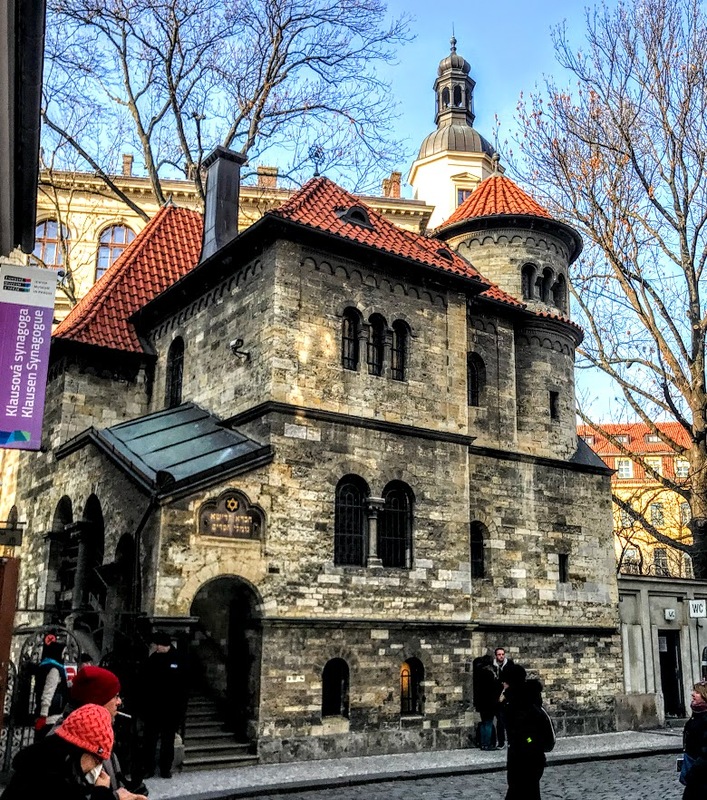 The ceremonial hall is at the entrance to the Old Jewish Cemetery, founded in the early 15th century and one of the oldest and best-preserved Jewish cemeteries in Europe. 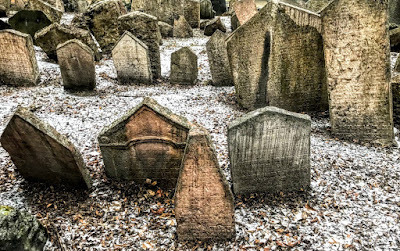 There are about 12,000 tombstones in the cemetery, but the number of burials is far higher. Burials here ended in 1787.